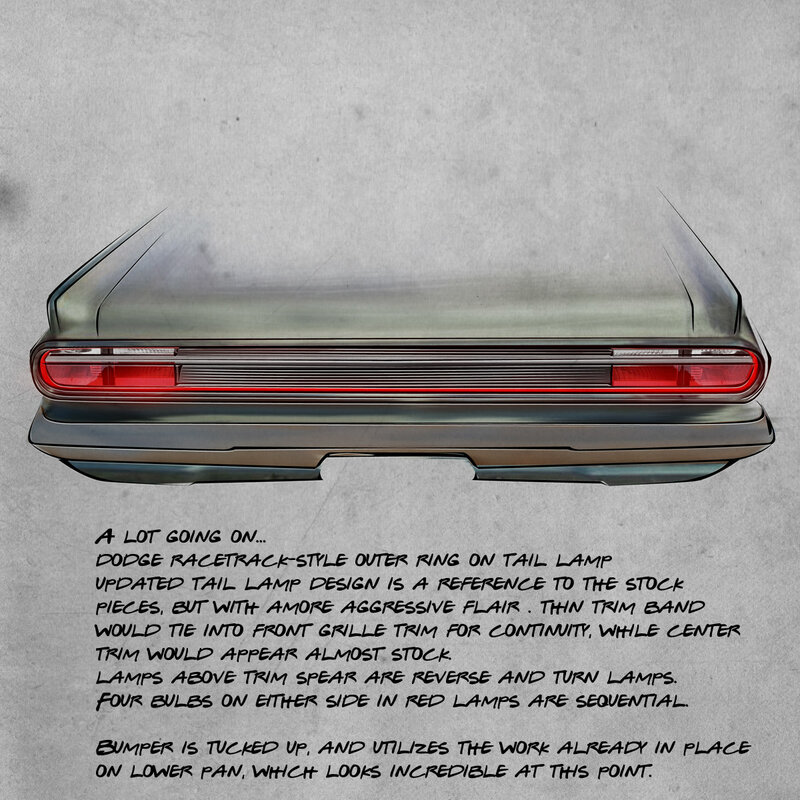 Custom vehicle design. 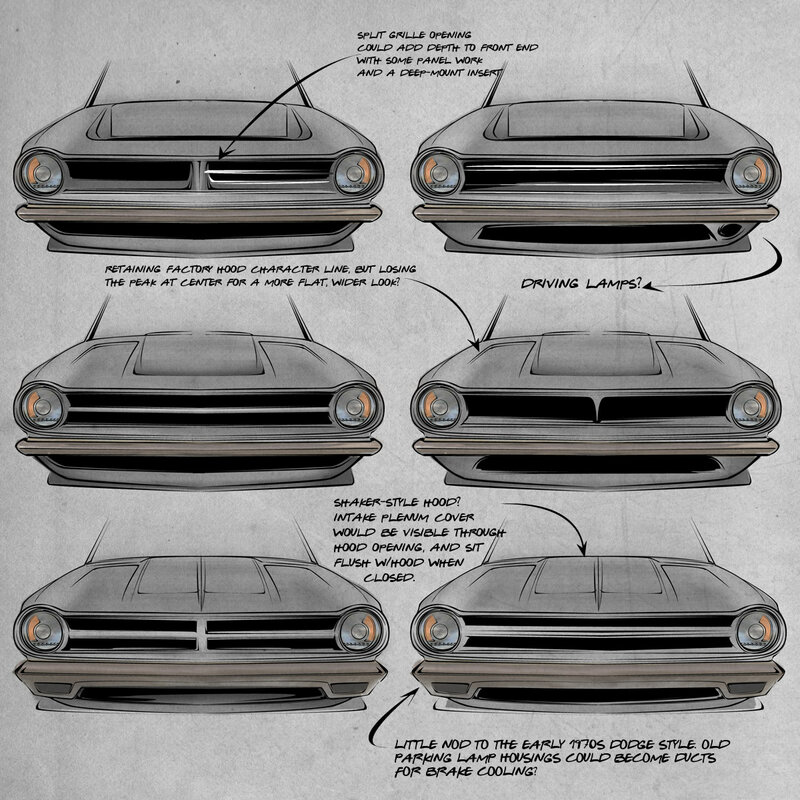 Sketches and designs from ideation to completion on a full-custom 1965 Dodge Dart. 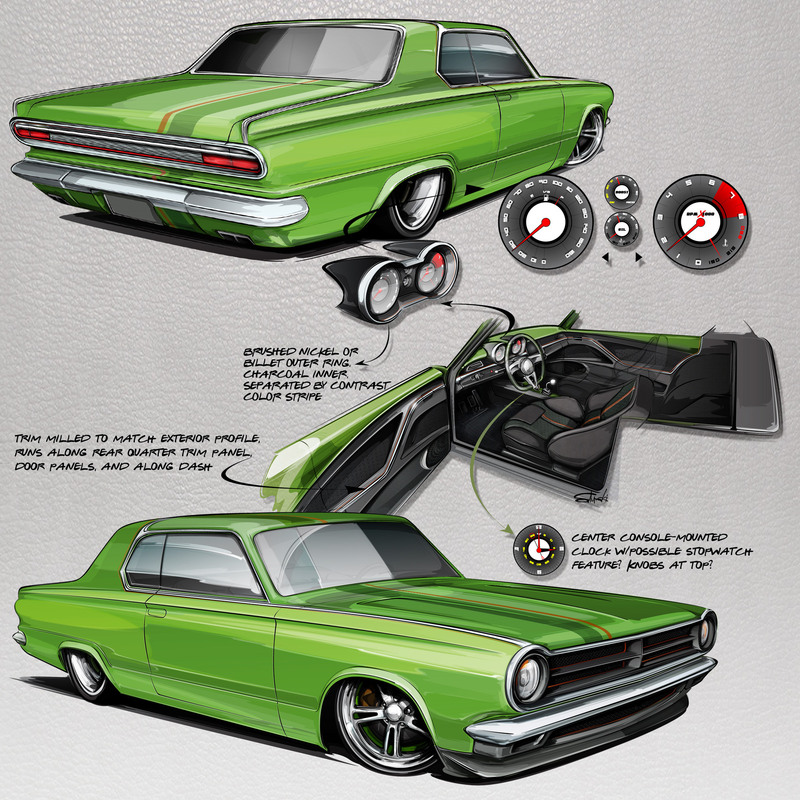 Design work for a custom 1965 Dodge Dart, built by Big Oak Garage. 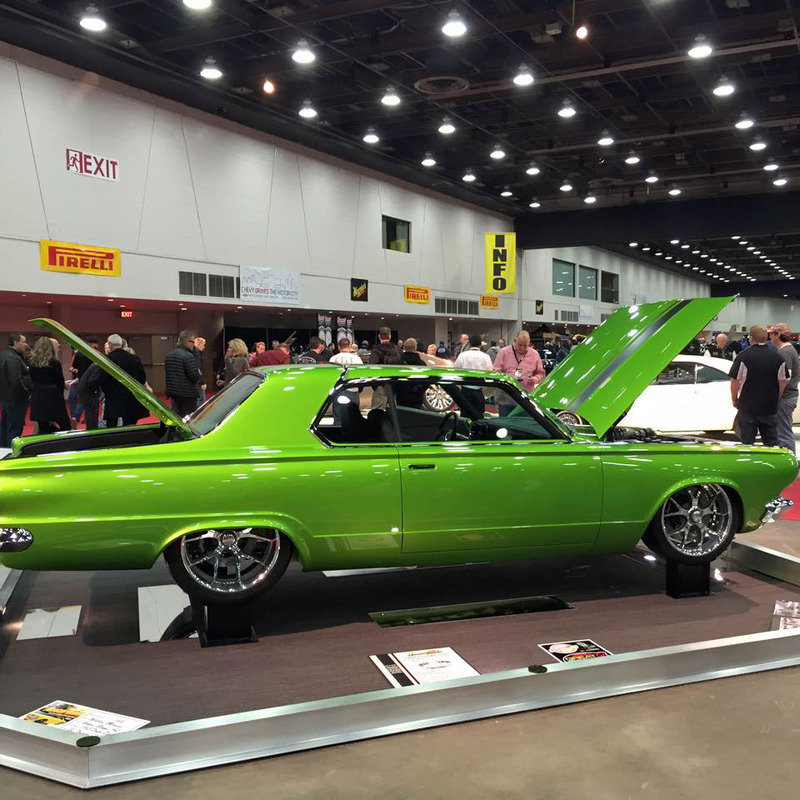 Car placed in the top vehicles at the 2015 Detroit AutoRama, earning it a Great-8 placement in the Don Ridler Memorial Award competition, one of the premier awards in the automotive world. 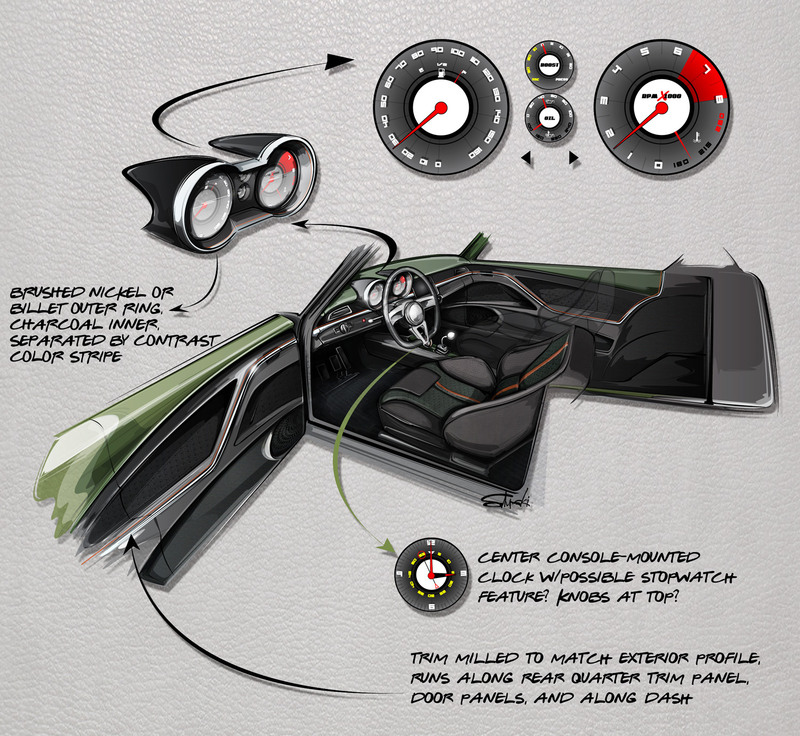 The completed custom instrumntation installed in a one-off cluster housing. 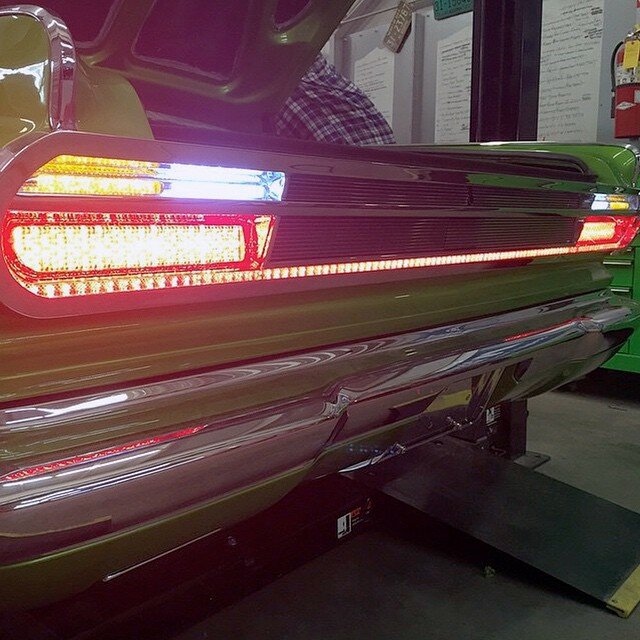 The completed custom tail lamps and panel installed and lit up. 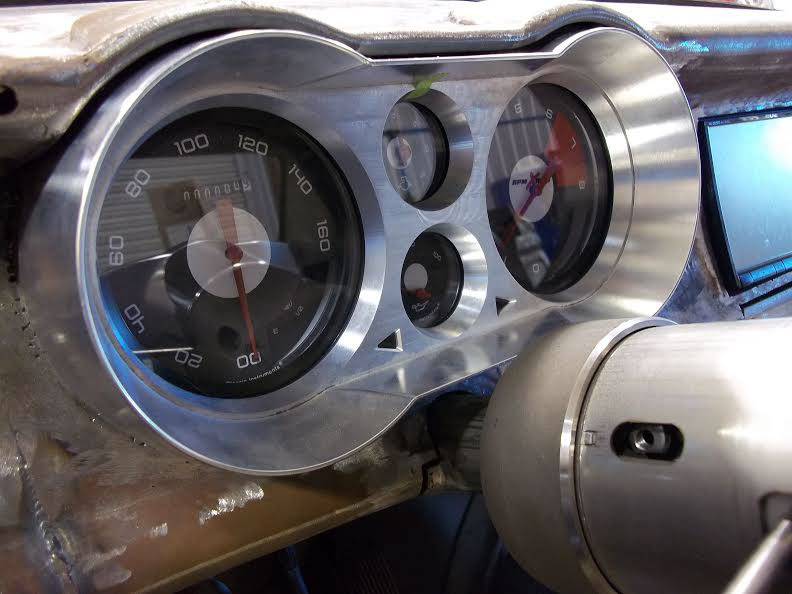 Completed car at the Detroit AutoRama.